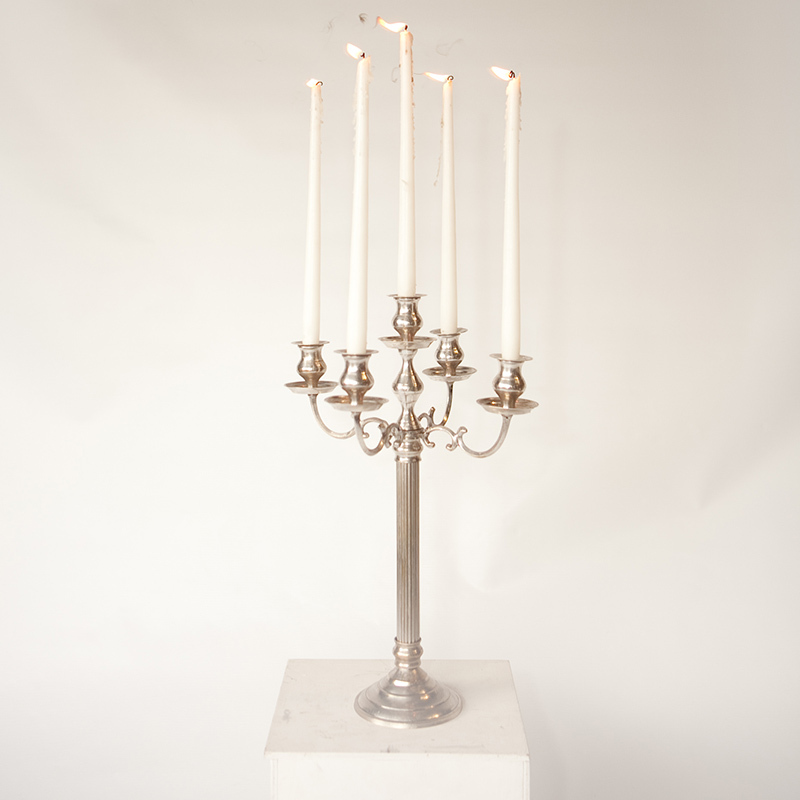 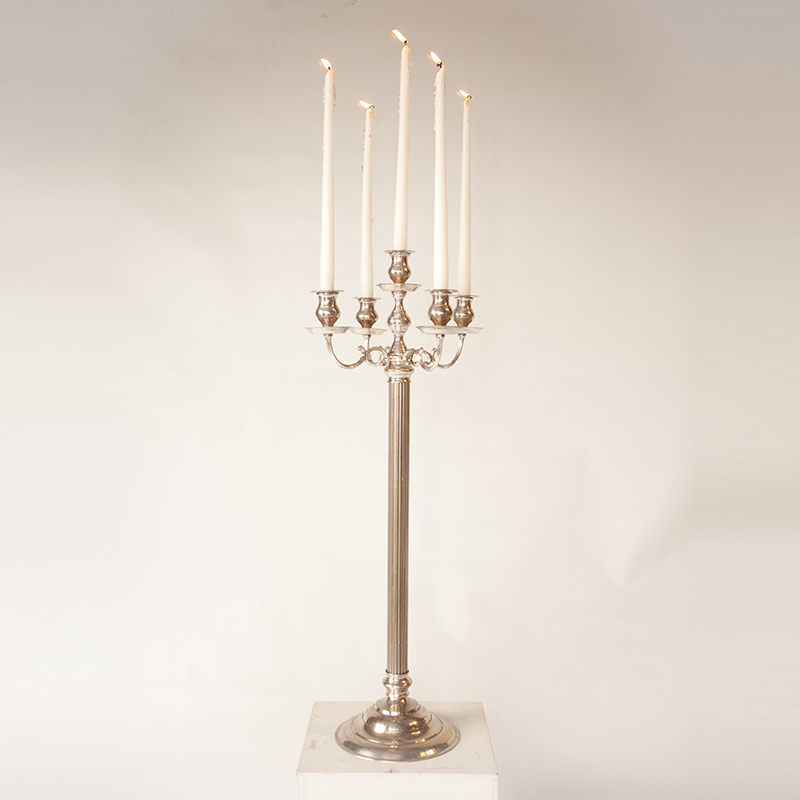 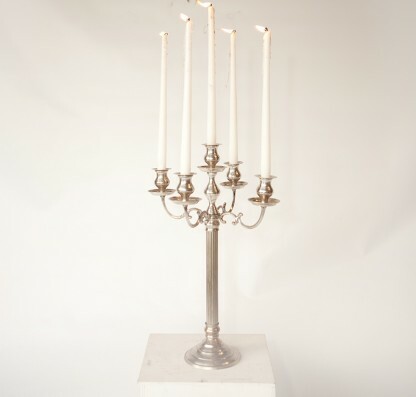 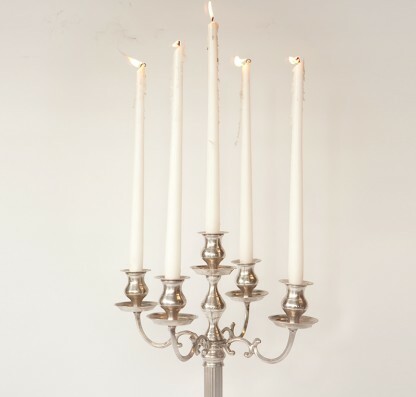 Add a touch of class to your venue with this elegant chrome metal candelabrum. 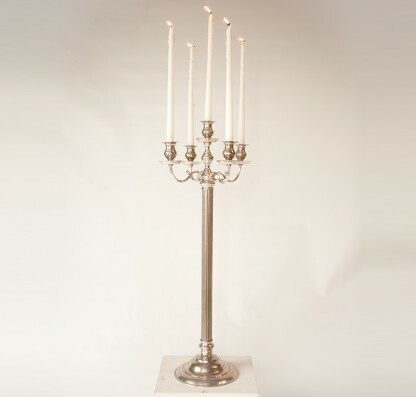 It comes in two sizes, which you can mix and match for maximum impact, and it looks stunning in any setting – whether used as a table centre, on a bar or standing on a plinth. 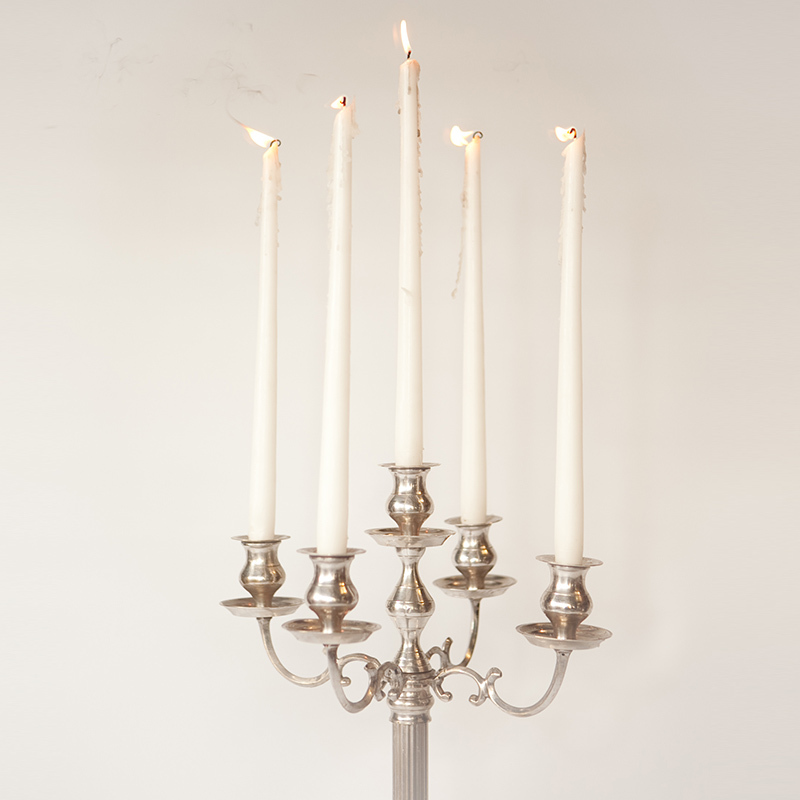 Leave it undressed for a simple, chic effect or dress it with flowers or foliage to add extra impact. 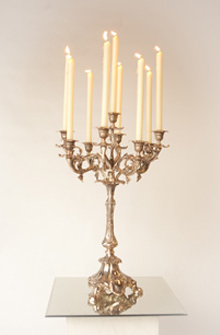 Holds 5 dinner candles.